HELENA, Mont. – In 1997, Canada began releasing the biological control agent Mogulones crucifer, a weevil, for the control of houndstongue, a highly invasive nonnative weed that is a serious nuisance for ranchers and outdoor enthusiasts. The weevil has had lasting, population-level impacts on houndstongue in Alberta and British Columbia, and while the species has naturally expanded its range into Montana, it is not an approved biocontrol agent in the US. It is currently illegal to facilitate redistribution of Mogulones crucifer through non-natural means due to concerns that the species may feed on federally protected non-target plant species. Considering the absence of other effective control methods for houndstongue, along with the lack of negative ecological impacts and positive management outcomes associated with the release of this agent in Canada, the Montana Invasive Species Council (MISC) has enlisted assistance from the scientific community and formed a science advisory panel to evaluate the feasibility of approving and using Mogulones crucifer in the U.S. by reviewing new or additional information available since its approval and introduction in Canada. Robert Nowierski, Ph.D., National Program Leader, Division of Plant Systems-Protection, USDA National Institute of Food and Agriculture, Washington, D.C. The panelists will meet with agency staff and stakeholders between April 30 and May 1 to discuss issues related to the current status of Mogulones crucifer. The goal of the workshop is to find consensus on recommendations for a possible petitioning of the species as a biological control agent in Montana. For more information about the panel or workshop, contact Stephanie Hester at 406-444-0547, shester@mt.gov. 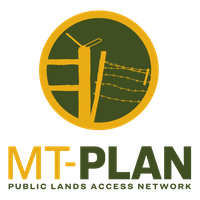 The Montana Invasive Species Council is a statewide partnership working to protect Montana's economy, natural resources, and public health through a coordinated approach to combat invasive species. For more information about MISC, visit misc.mt.gov.